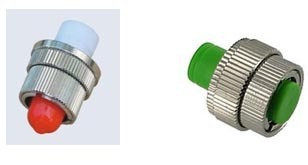 Flanged Adjustable Attenuator| MPO Connectors | Fiber Optic Solutions Fujioptics Inc.
2、Amount on line attenuation adjustment and locking. 3、With low excess loss, good stability, high reliability, small size, light weight and so on. 4、Products made into FC, FC-ST, ST and other forms of standard adapters. 5、Easy to use, widely used in optical fiber communication systems, optical fiber CATV network and other projects. OAT-SV-FC Compact variable optical attenuator, FC adapters input / output.